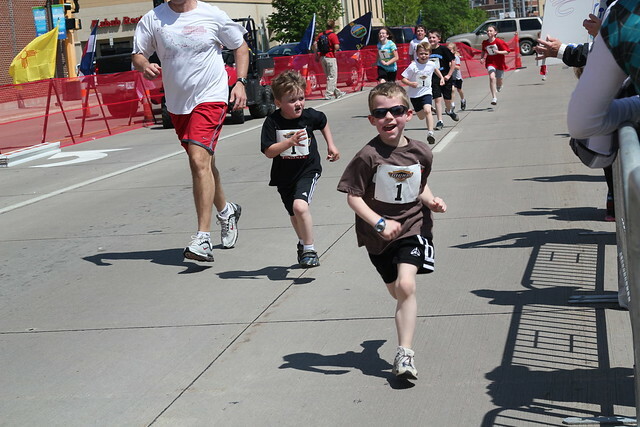 Benjamin ran his final leg of the Med City Kids Marathon this weekend. 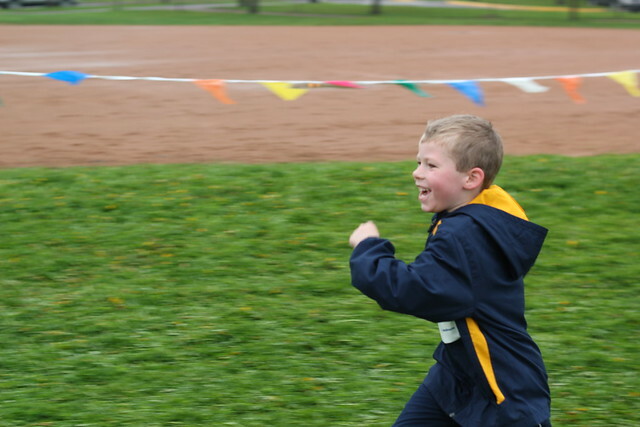 Mike has been coaching a running club along with a teacher at Benjamin's school twice a week for a while now. The kids had to run 25 miles on their own, over the course of many weeks and the last 1.2 miles was done this weekend. 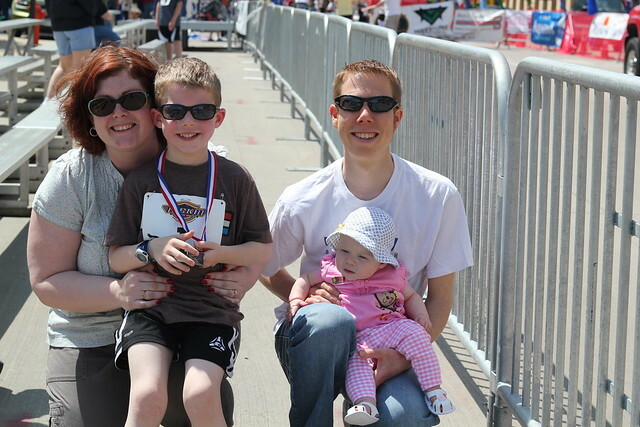 The kids all crossed the finish line for the "real" Med City Marathon and even were featured on the Jumbotron! It was a great experience. Grandma Cindy and Grandpa Bert were able to come to town to watch Benjamin race and because of the gorgeous weather we had, we also had a picnic at a local park. Sunday was the full Med City Marathon and our family tradition is to pack up as many noise makers as we can and sit along the race route cheering on all of the runners. 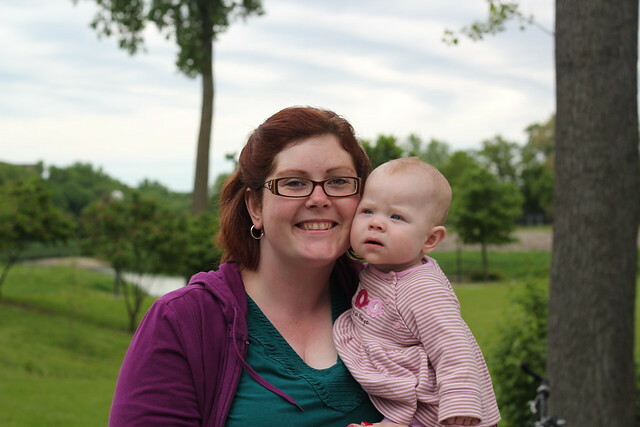 It is always a fun time and this year we were excited to bring Lucy along for her first Med City experience. Backing up a bit...last weekend Benjamin did his longest solo run yet at the Twin Cities Kids Marathon Cross Country 2 mile race at Como Park in St. Paul. 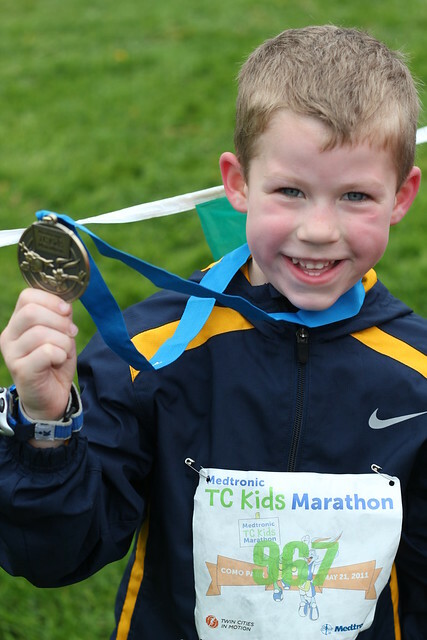 He ran it in about 22 minutes, 30 seconds which is about an 11 minute per mile pace; pretty impressive for an almost-6 year old! Backing up even more...Mike raced in his first marathon of the season a couple of weeks ago. 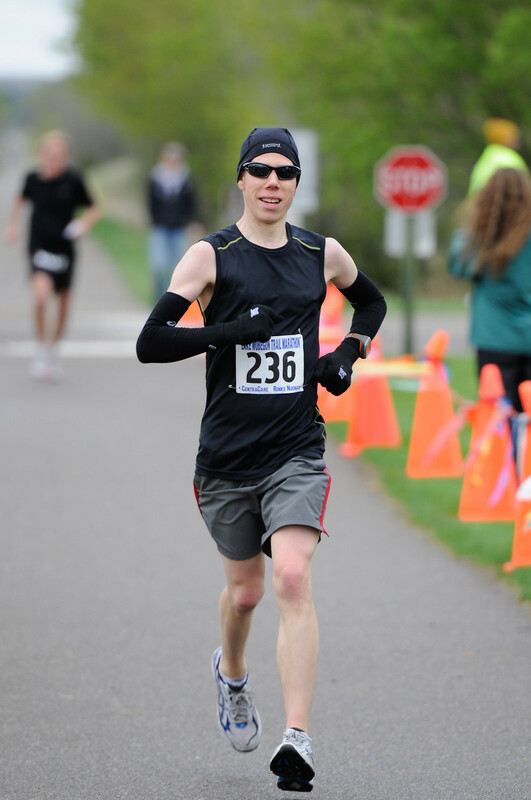 He finished the Lake Wobegon Marathon in 3:18:28. He is looking forward to many more races this season!